When buying a property, the buyer may be asked to sign a contract which includes a “Voetstoots” or”As Is” clause. They may also be asked to sign a “Disclaimer” document from the estate agent.Neither of these documents should be signed as they give away the buyer’s rights to claim compensation at a later date – up to 6 months – for any patent or latent defects. The Consumer Protection Council will allow a “Voetstoot” or “As Is” clause to be added on any sales agreement in regards to a Private Seller that is not using the services of a real estate agent or a property that is being auctioned. In order to find latent and patent defects it would be necessary for the buyer to employ the services of a Professional Home Inspector. The Home Inspector typically performs the inspection before the final signature on the Offer to Purchase. This would give the buyer the information in regards to the condition of the property and also the ability to calculate the cost of any repairs necessary. This could be used as a negotiating tool on the asking price of a property. A patent defect is normally an easily identified visual defect e.g. broken or cracked windows, broken or cracked wall or floor tiles. A latent defect is normally not an easily identified defect e.g. damage to roof trusses, rising or weather damp, property out of square. 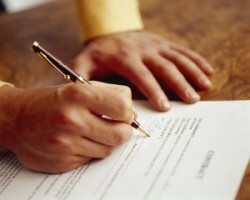 When buying a property, the buyer may be asked to sign a contract which includes a "Voetstoots" or"As Is" clause.